Hotel booking is the first thing that crosses your mind when you’re planning holidays or a business trip. In order to make a journey safe and seamless, booking the right hotel is an important stage. This is why the popularity of hotel booking app is growing. Nowadays travelers tend to be more independent. And it’s a beneficial approach for holiday planning while it allows the travelers to be more independent and organize an incredible vacation. When planning a vacation, you can do everything online starting from drafting routes, buying tickets, and booking apartments. And can you guess what all travelers have in common? Of course, a smartphone in a pocket. Taking into account this fact, it’s reasonable to provide the travelers with a quick and hassle-free access to the hotels via a mobile app for apartment booking. In comparison to websites even with the greatest design, native hotel booking apps deliver a much better user experience and ease the process of searching and booking of hotel apartments. Google has found out that hotel-related searches from smartphones rose to 300 percent. In fact, lots of companies reported an increase in mobile queries and sales. Regardless of the costs required to build a custom hotel-booking app, the game is worth the candles. Taking into account the information mentioned above, the hotel booking app process might seem smooth and straightforward, and in fact, it is. But there are certain issues to cover in order to create a hotel booking app that can generate profits. These apps are great when it comes to well-planned holidays and vacations. The apps allow booking beforehand picking up the hottest and cheapest deals. They become a powerful tool while planning spontaneous trips. Not every journey or business trip is planned beforehand. And last-minute booking apps are beneficial for hotel owners as well as travelers. These are classic types of booking apps. Feel free to change the way of mobile hotel booking. For example, Airbnb turned the idea of booking a hotel stay upside down by giving the travelers to immerse in a foreign culture and hire a local apartment instead of a hotel suite. Another outstanding example of the app that changed the hotel booking world is Tripadvisor. Here travelers can find the most attractive places to go and read clear-eyed reviews of the other travelers. Note, it’s better to start with developing a Minimum Viable Product (MVP). 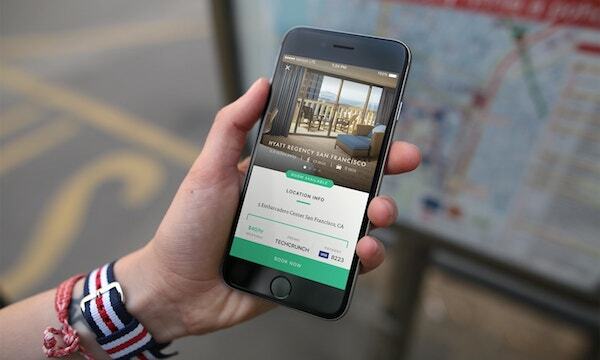 Here we have found out the must-use features for your hotel reservation app. It’s needless to say that an app should be easy-to-use and navigate. The users aren’t fond of complicated UIs. It’s a great idea to place hotels with prices on the initial screen of the app. And other extra options may be packed in a tab bar or a drawer menu. Another important feature to implement is a searching mechanisms with a set of filters to ease the search. The user account will keep track of the past and future reservations, and lots of users appreciate this possibility. To make a process of signing up smooth and hassle-free, you can add the authorization via popular social media accounts Google, Facebook, Twitter, etc. Integration of a payment gateway can greatly ease the process of hotel booking. It will allow the travelers to book and pay for their stay without leaving the app. But this feature is one of the most time-consuming features to build. Each payment API required additional time to implement. Another major issue to cover is the security of transactions. Every guest pays special attention to the beauty of the apartments, especially in a beforehand hotel booking app. The gallery will allow highlighting of the most prominent amenities that are vital for a stay. In a nutshell, developing a hotel booking app is a lucrative business opportunity since the market demand is still growing. Start with building an MVP for your app to reduce the time and money required to build an app. With an MVP loaded with all basic features, you can test the market before investing in a launch of a fully-functioning app.